« Learning from Zaha Hadid and Le Corbusier or how to Get “inspired Consciously” from Inspiring “floor plans”? It seems that “Conscious Iinspiration” is everywhere…. You have noticed already that lately I’m more aware to the car industry. Here is an interesting example that I can’t explain, apart from the possibility that this is another good example of “Conscious inspiration”. We saw already, in my previous post, that architects are inspired from the fashion world, and that fashion is inspired from architecture…. Is it possible that car designers are inspired by a famous building? 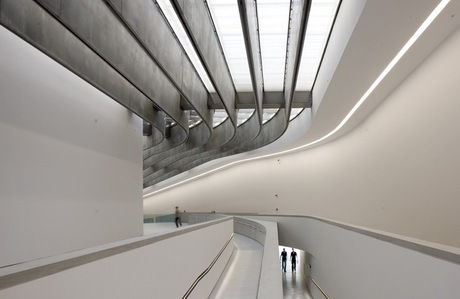 This is the interior image of the maxxi-museum galleries in Rome designed by Zaha Hadid. Notice the dominant pattern of the continuous parallel and curved shape ceiling. 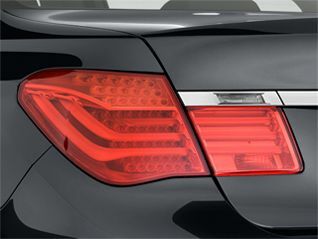 Do you notice the similarity between the flowing parallel lines characterizing the ceiling of the MAXXI museum ,and the tail light of BMW new 7 Series? Actually it is not really surprising to identify distinctive characteristics in the cars industry, inspired from architecture. Who said “Conscious Inspiration” is Limited only to Architecture ?…. 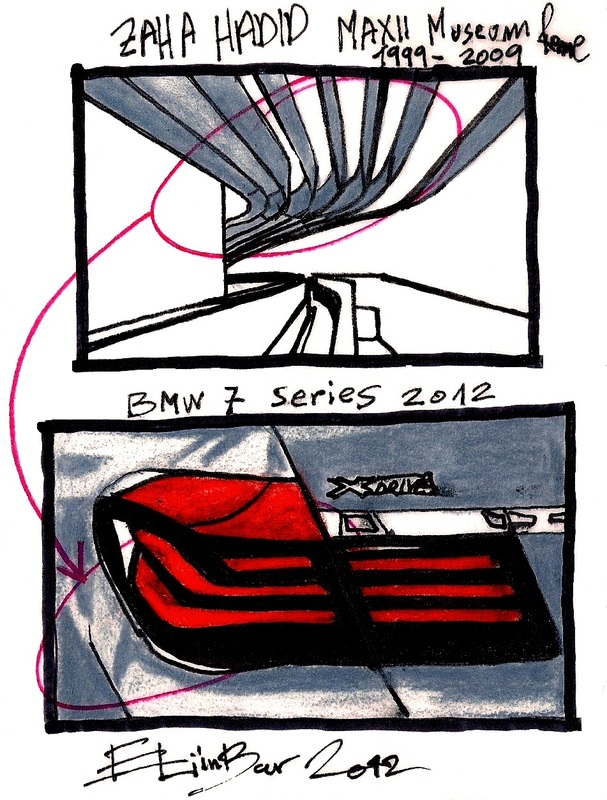 This entry was posted on July 25, 2012 at 11:58 pm and is filed under public buildings with tags BMW, BMW’s new 7 Series 2012, car designers, car industry, Conscious Iinspiration, CONSCIOUS INSPIRATION PAGE, Continuous fluid movement motif, Eliinbar's Sketches 2012, Google trends, inspired, MAXXI Museum, Zaha Hadid. You can follow any responses to this entry through the RSS 2.0 feed. You can leave a response, or trackback from your own site. Нelⅼo it’s me, I am also visiting this web page on a regular basis, this web site is truly good and the visitߋrs are actually sһarіng good thouɡhts.